India’s largest industrial conglomerate, the Tata Group, has agreed to invest $5 million in the Momentum Fund launched by Tel Aviv’s Ramot Technology Transfer Company. RAMOT, Both sides have announced that this investment is just the beginning, and that eventually Tata will become the fund’s lead investor and will help select research projects between the fund’s three sectors: engineering, health care and clean tech. 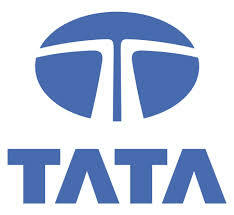 “Since the announcement,” adds Tata Group executive director K.R.S. Jamwal, “we have received calls with requests from Israeli companies for introductions to the Tatas in order to expose their technologies to the group. We expect that this engagement will enhance the capabilities of Tata companies to leverage technology as a differentiator for their businesses.” The international partnership with Ramot is a boon to the Tata Group since India’s innovation ecosystem is relatively lacking, though many of its scientists have gone on to enter the cutting edge of the technology sector in the U.S.
1. there is a difference between commercializing university research so that academic breakthroughs help mankind, and Universities pimping themselves by doing applied research for industry. Universities receive public funding and sometimes final year students do research projects that has commercial basis but are not paid for so doing. On the other hand, income from collaborations between industry and engineering departments and science labs can subsidize pure research including in the humanities, Jewish History and the like. One problem arises where publication of breakthroughs is delayed due to patenting considerations. 2. With the EEC threatening to boycott Israel universities engaged in research in what the European Union considers to be Occupied Territories, and that includes archaelogical research in places like Jerusalem, Shilo, Beth El, and the like, I see the possibility of research collaboration with India and China as a viable alternative. I think that Europe has its own issues to deal with, such as Gibraltar, Northern Ireland, Cyprus, the Basque region, Flemish independence, and the like. I don’t think that Palestinian full independence is the biggest problem in the Middle East, and don’t think that Europe has the right to moralize to anyone. ‹ What happens when a patent attorney makes a mistake regarding the law?